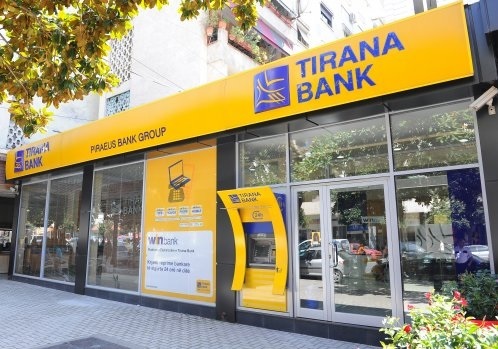 The Competition Authority of Albania has authorized the sale of 98.83% of Tirana Bank SHA shares from Piraeus Bank SA to the largest group in the country, Balfin LLC owned by Samir Mane and Komercijalna Banka AD Skopje, while voicing concern in the report that "The main shareholder of Tirana Bank, the company Balfin SHPK has control of a large number of companies both domestically and internationally and Tirana Bank's activity is expected to be influenced by the economic activity of companies controlled by Balfin SHPK, and the economic and financial performance of these companies will be Tirana Bank's guarantee of stability and the entire banking system as a whole." - The transaction to provide economic efficiency and to assure the sustainability of the existing staff relations of Tirana Bank SHA. For financial stability issues, all commercial companies controlled by Balfin ShPK, which have a dominant position or who will assume this position in the future, should be monitored and treated as activities related to the banking system, regardless of the object of the business activity them. To submit to the Competition Authority any changes in the structure of the monitored companies, where the dominant position in the market can be established or strengthened. The authorization approved by this decision will enter into force after the approval of the transaction by the Central Bank of Albania, reads the decision of the Authority where is also decided the monitoring of the behavior of the company Tirana Bank SHA for a period of one year from the date of this decision.